7 Bentbrook dogs tested so far for Degenerative Myelopathy (DM) are CLEAR/NORMAL! 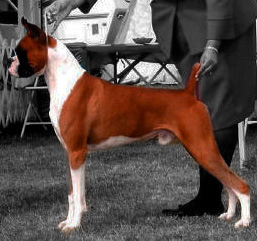 Degenerative Myelopathy (DM) http://www.caninegeneticdiseases.net/DM/ancmntDM.htm , is a potentially debilitating neurological genetic condition that can eventually paralyze its victims can occur with relative frequency in Boxers. At Bentbrook we are strong advocates of health testing and began DM testing our Boxers in 2008 as soon as we heard screening was available . We are pleased to report that so far 7 of our Bentbrook Boxers that have been tested are not carrying this dreaded gene for DM. 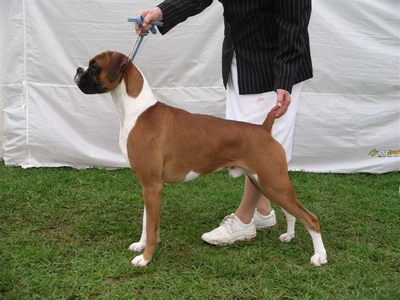 Unfortunately the percentage of Boxers that are “At Risk” is frightfully high. 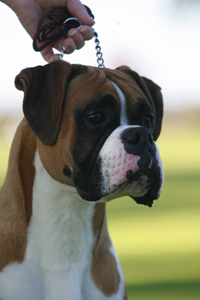 Interested Boxer owners inquiring more about DM please go into the OFA site http://www.offa.org/ link “Advanced search” , Boxers and Degenerative Myelopathy (DM) .